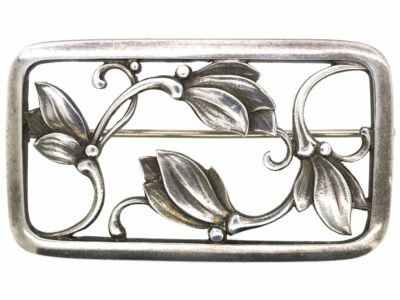 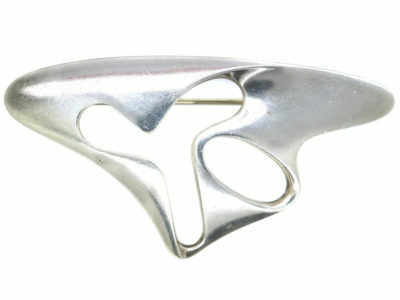 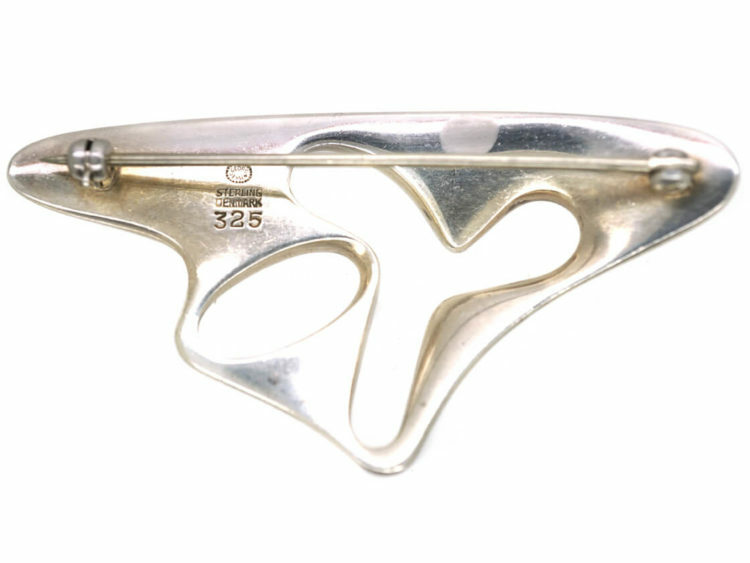 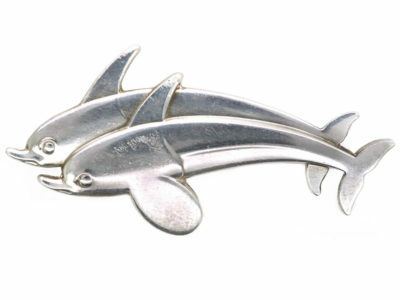 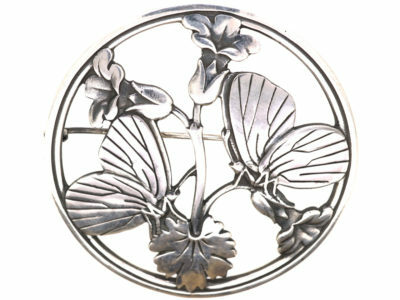 A good Moderenist silver brooch designed by Henning Koppel for Georg Jensen. 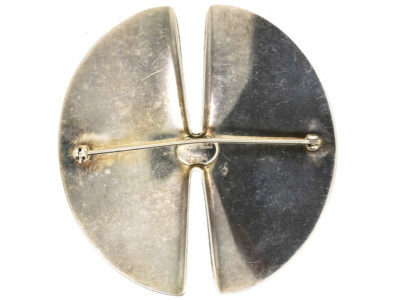 Koppel was born in 1918 and died in 1981. 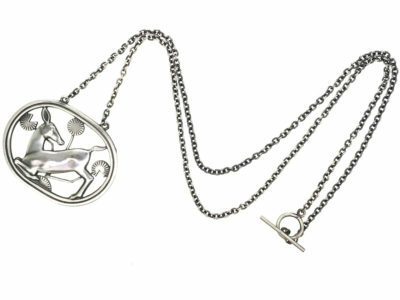 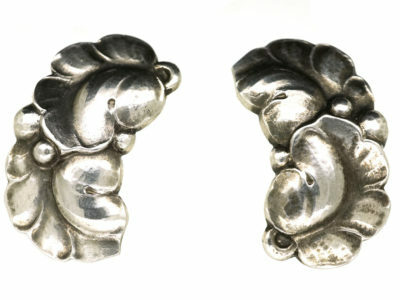 He was an artist and sculptor but is most known for his work for the Danish firm, Georg Jensen in the years after World War II. 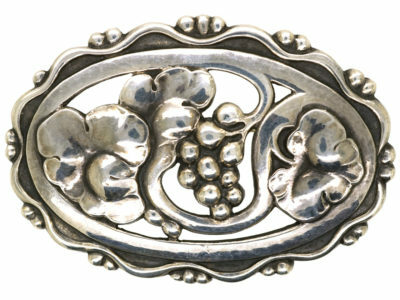 This brooch is typical of his stylish design and dates from 1956. 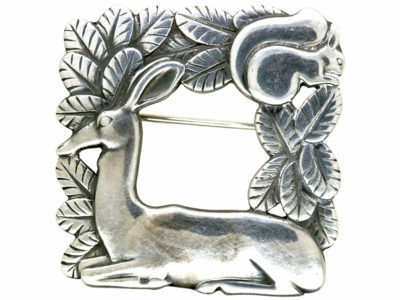 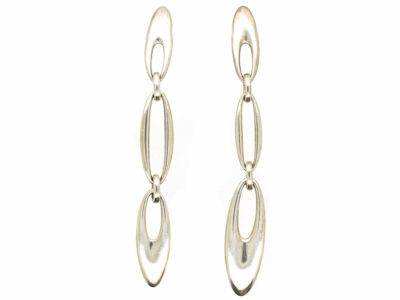 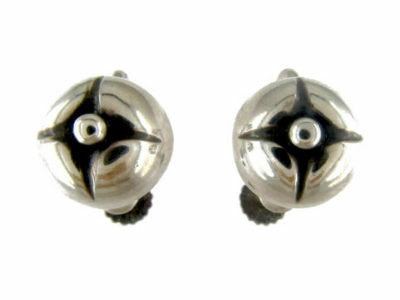 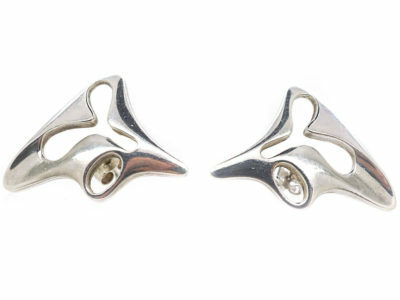 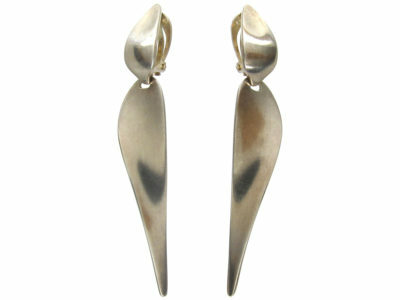 We also have a pair of earrings to match this brooch in the “Earrings” section.